Hotel Ai due Fanali is located in the Santa Croce district, facing the Grand Canal of Venice in Italy, near the railway station and Piazzale Roma and 15 minutes from Rialto Bridge. A romantic walk along the picturesque streets of Venice will take you to St. Mark’s Square in 25 minutes unless you prefer to do a gondola ride through the small surrounding canals. 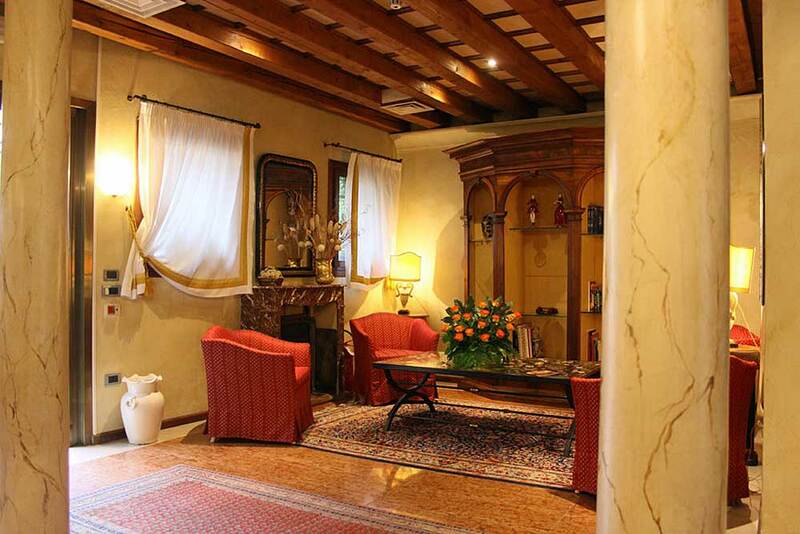 This small 3 Star hotel in Venice with family atmosphere is a haven of peace traditionally decorated in Venetian style (marble floors, fireplace, exposed beams…). It features a panoramic terrace that offers a unique view of the “Serenissima” that extends to the Campanile of San Marco, breakfast is also served in this place. 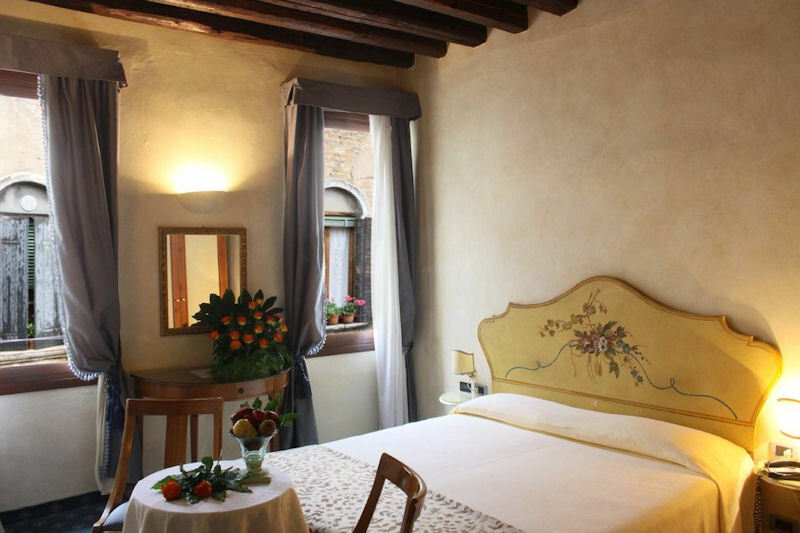 The Hotel ai due Fanali offers 16 rooms which some of them with beams ceiling. They are equipped with every comfort: private bathroom with bath or shower and hairdryer, TV, telephone, Internet connection, minibar, safe, air conditioning.